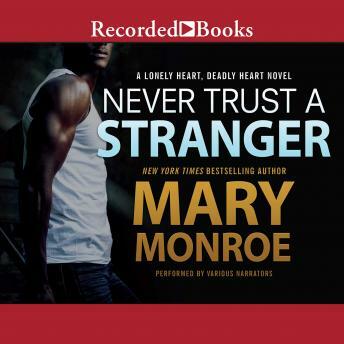 New York Times bestselling author Mary Monroe takes you on the ultimate twist-filled ride with her Lonely Heart, Deadly Heart series. For two restless women looking for satisfaction, too much of a good thing is never enough-even as a lethal passion closes in. Best friends Lola Poole and Joan Proctor-Riley have finally found the love and excitement they've always longed for. Online-dating an endless line of wealthy, no-strings-attached lovers is the perfect escape from their unfulfilling lives. And between Joan's selfish husband and Lola's hateful, demanding relatives, the hotter these ladies' secret activities get, the more they crave-and the more reckless they become. Soon, they're taking ever greater risks to pursue their desires. When rugged trucker Calvin Ramsey comes into Lola's sights, he's a surprising answer to all her prayers. He's kind and responsible in his everyday life-and delivers sexual healing like she's never known. What Lola doesn't know is that Calvin loves women to death-literally. And every caring moment and seductive promise this killer gives her draws both Lola and Joan deeper into his inescapable, fatal fantasy.